No modern kitchen is complete without this Bodum Knife Block. 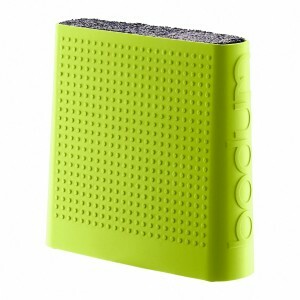 Surrounded by apple green Bodum style, this block is made of very fine plastic sticks allowing any knife to sit anywhere in the block. Available in multiple colors!